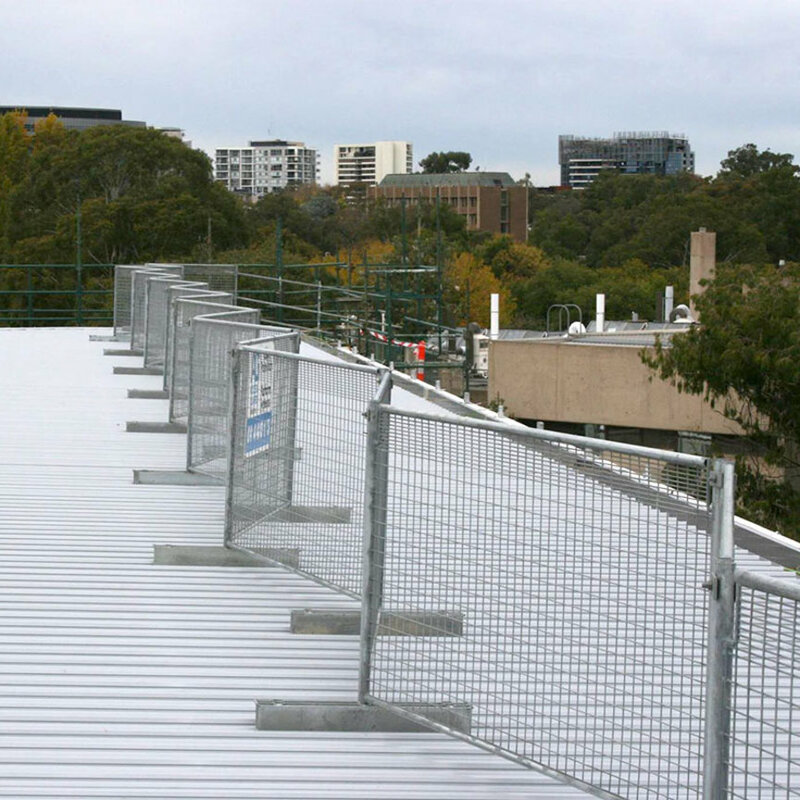 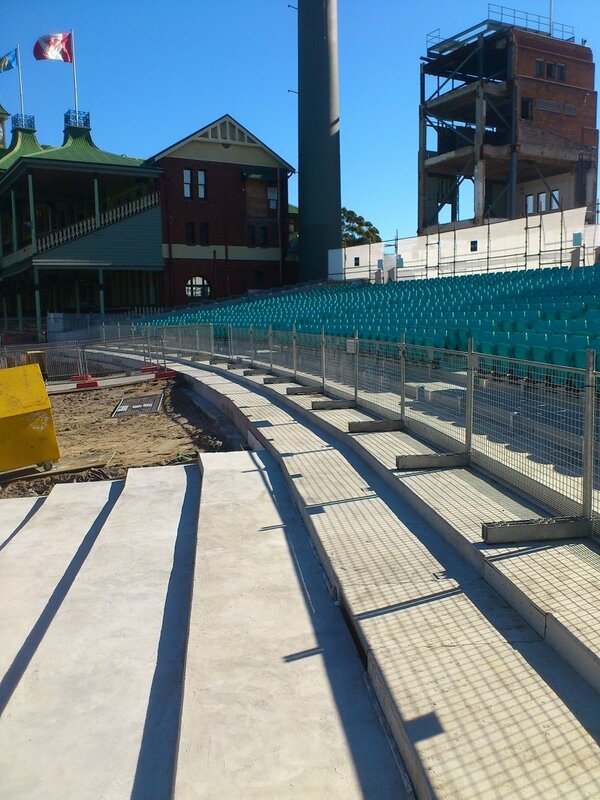 Preston offers a wide range of intelligent high performance edge protection solutions for builders on site. 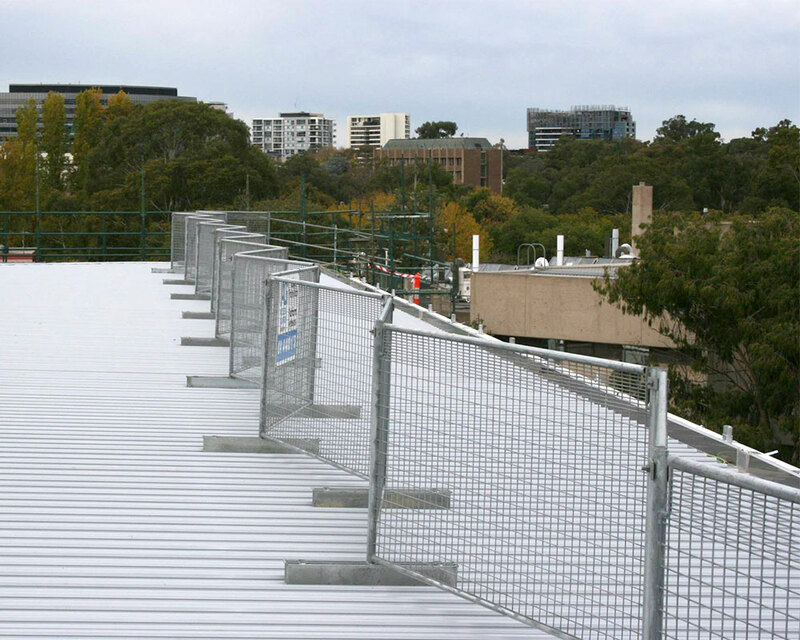 Whether it’s a flat roof top, ground level or somewhere in between, the SuperBarrier™ delivers quality and safe high performance edge protection. 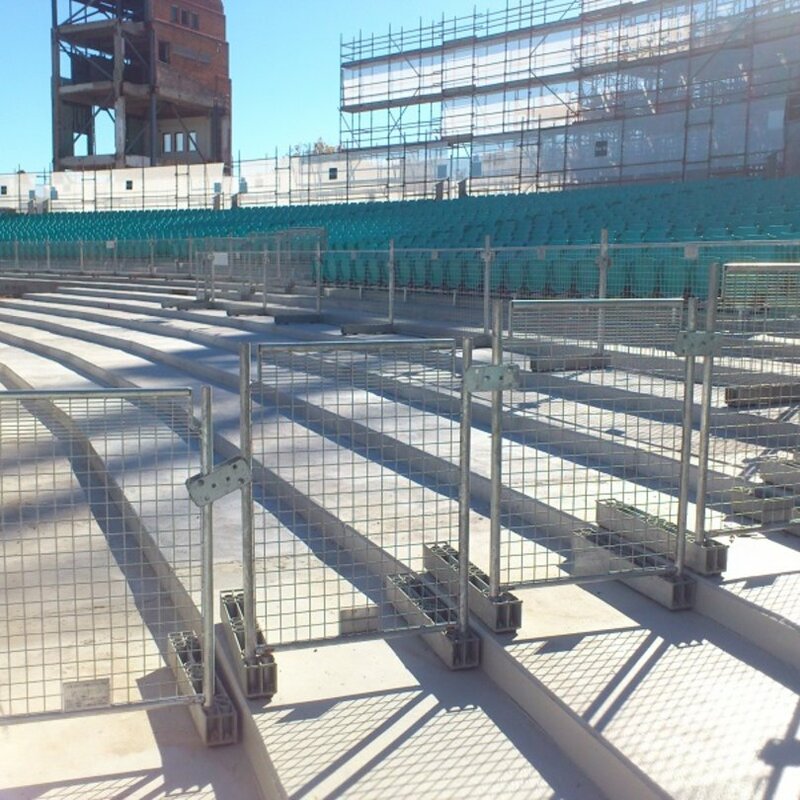 As a company with over 40 years’ experience Preston understands your requirements and needs on site and can deliver safe and efficient solutions, wherever and whenever you require it. 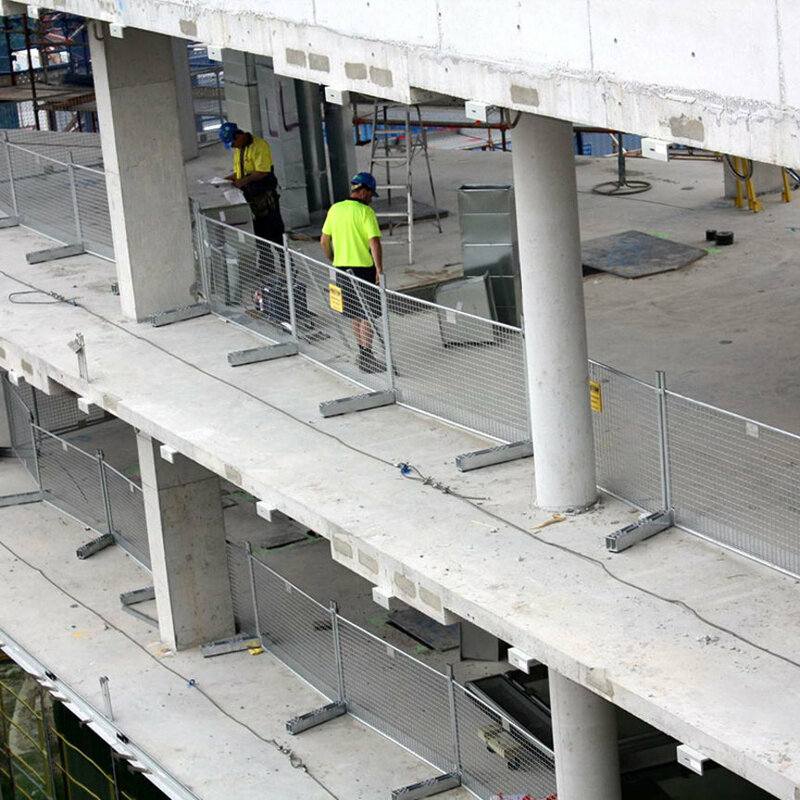 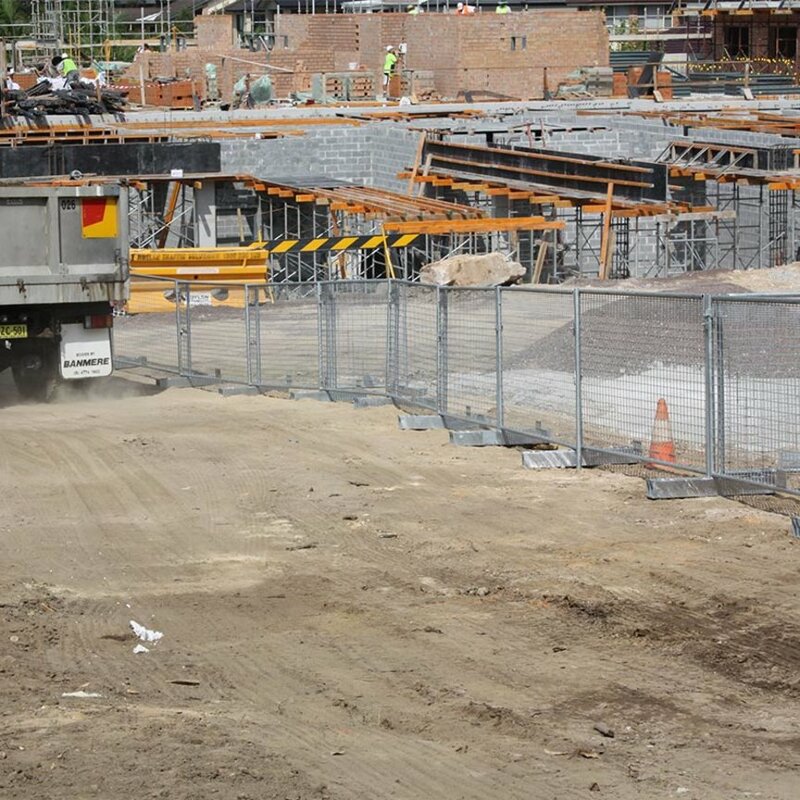 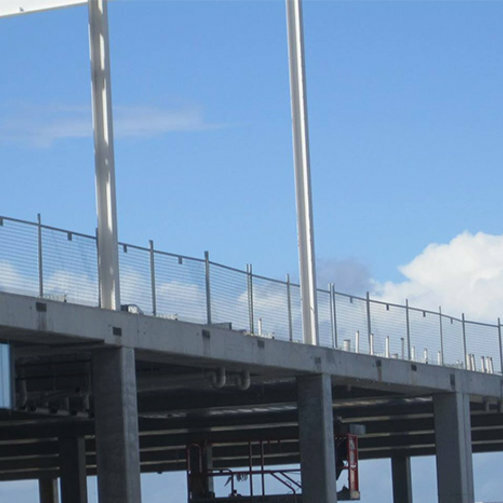 The SuperBarrier is a temporary self-supporting barrier for your edge protection, site delineation or pedestrian/traffic control barrier needs. 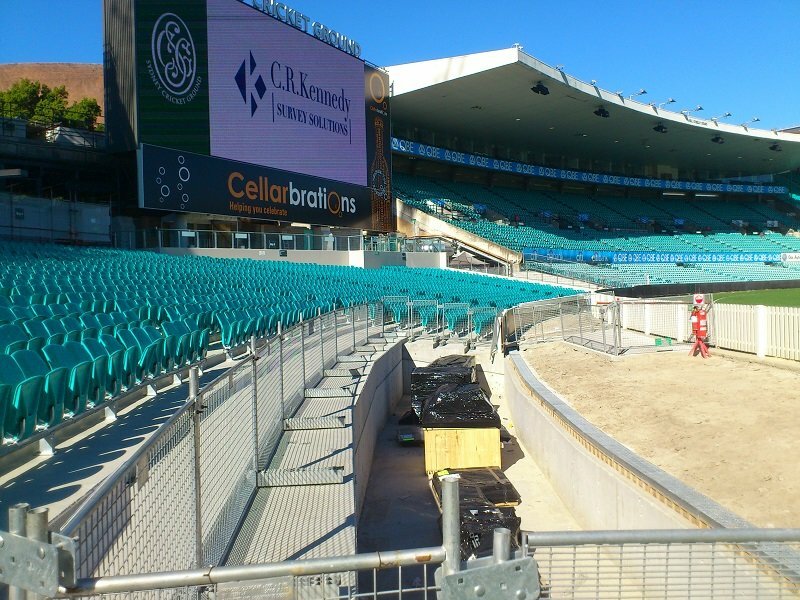 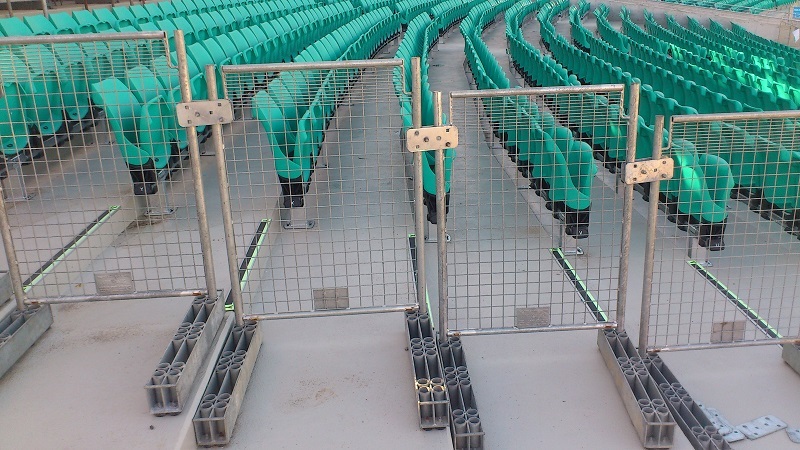 The SuperBarrier is extremely versatile and quick to install. 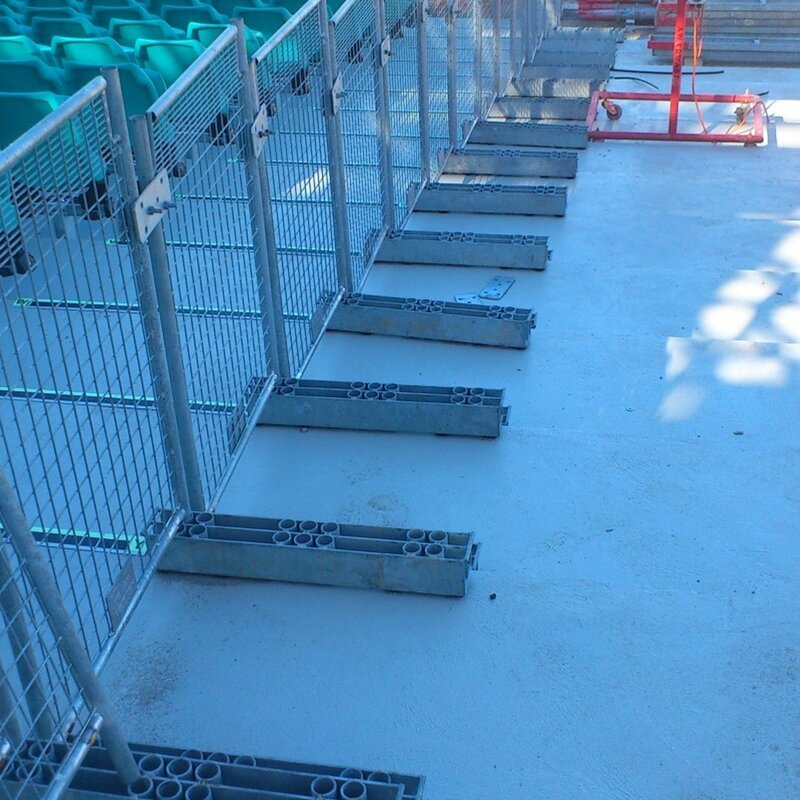 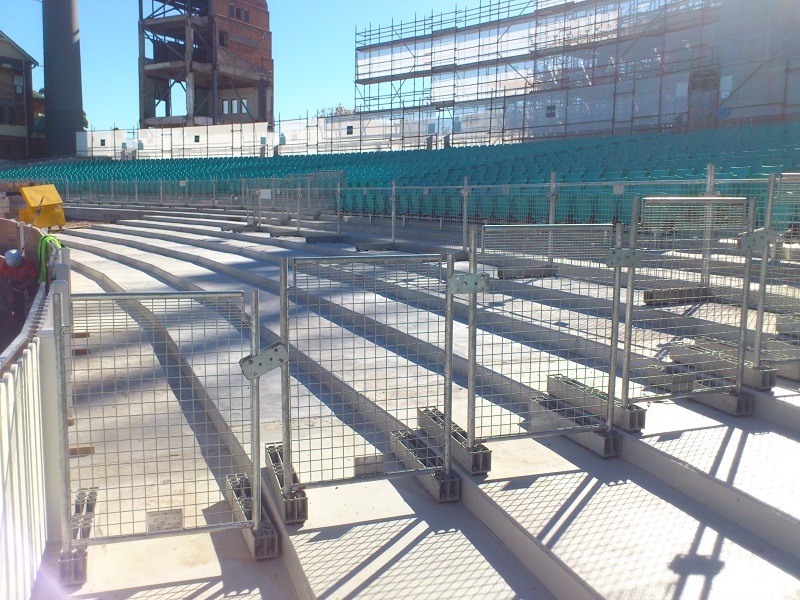 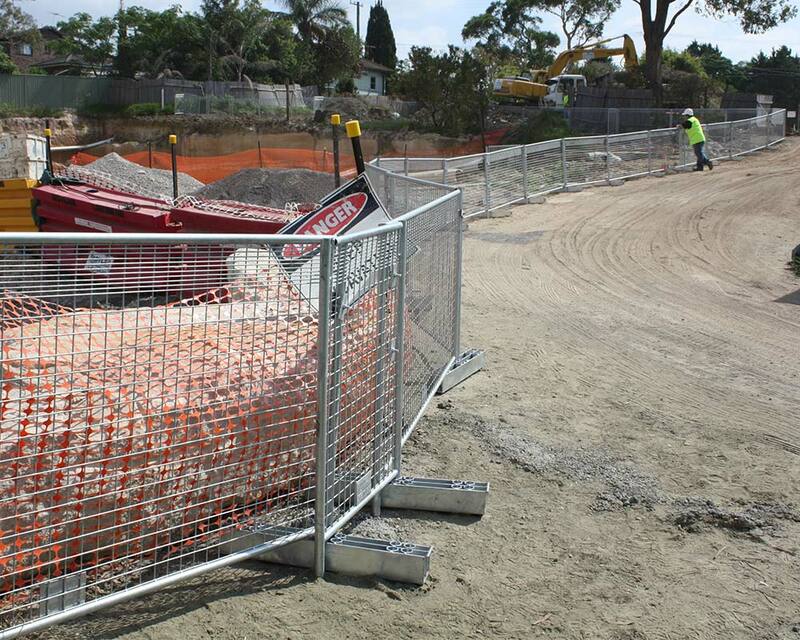 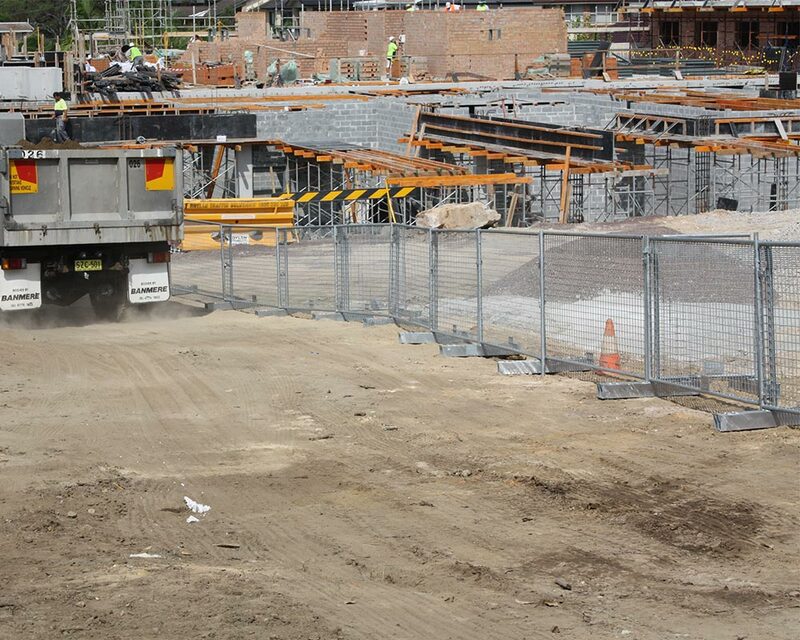 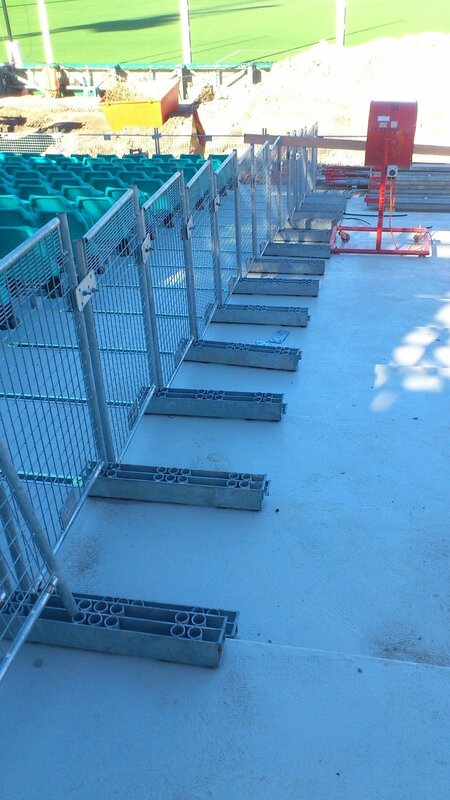 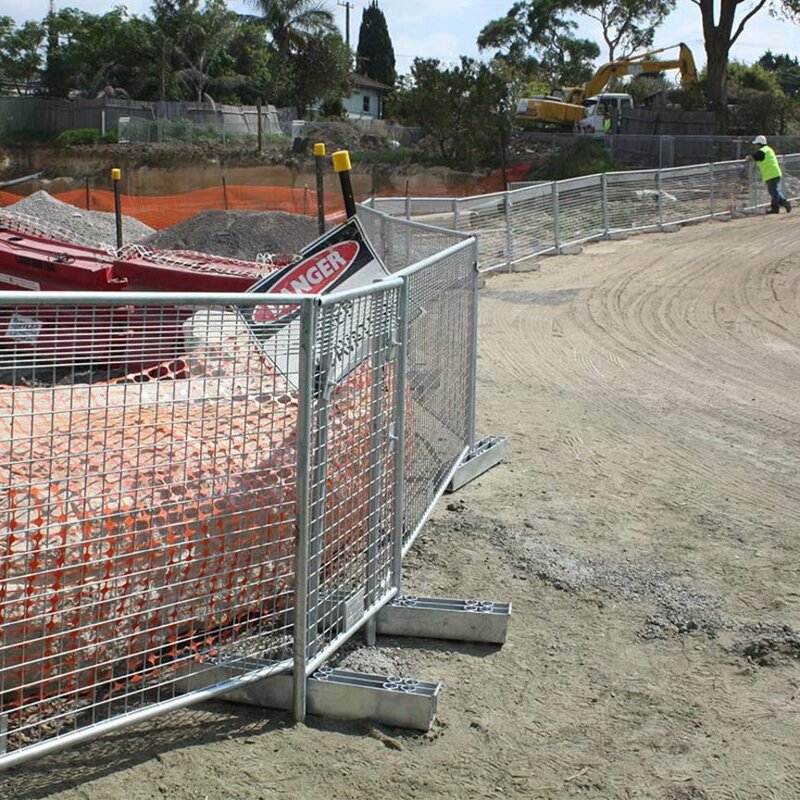 At Preston we understand that time and labour is a critical factor on site, therefore, we have made it simple for our clients by designing a Superbarrier which does not require drilling or bolting to the floor. 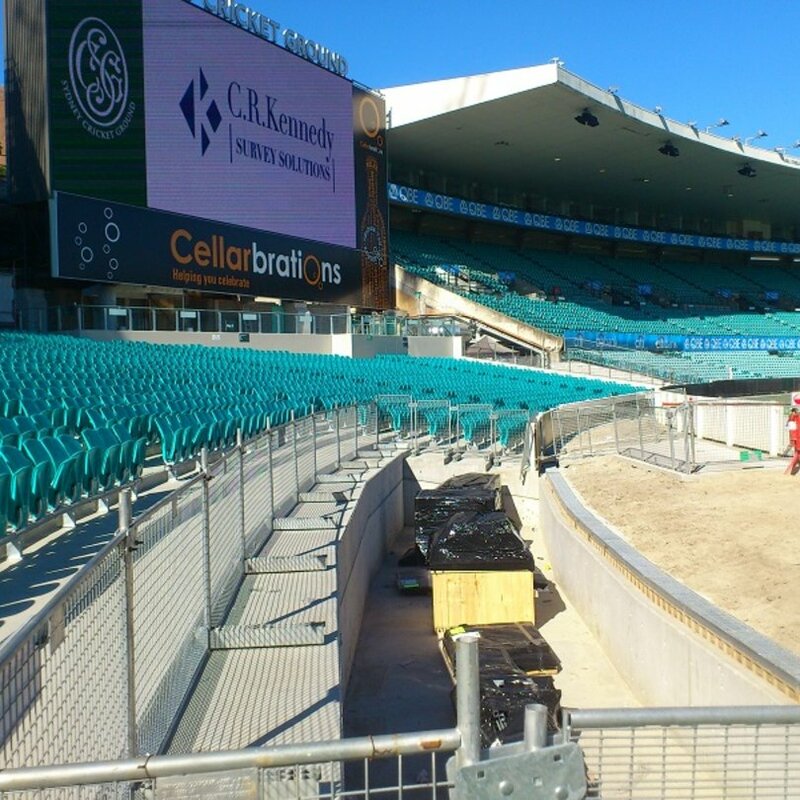 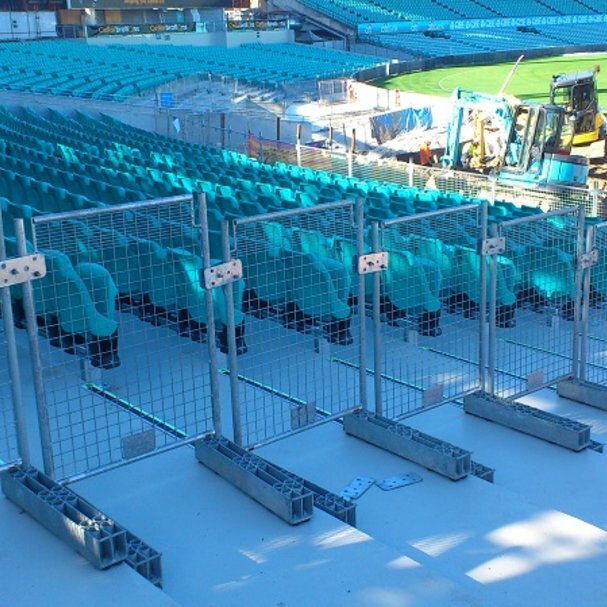 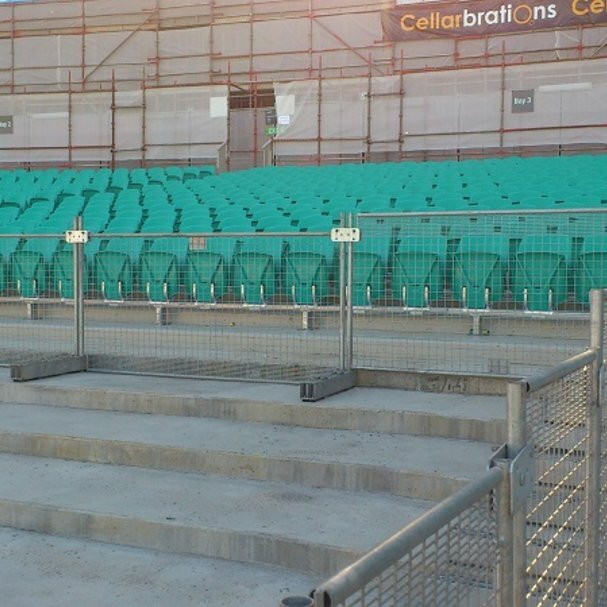 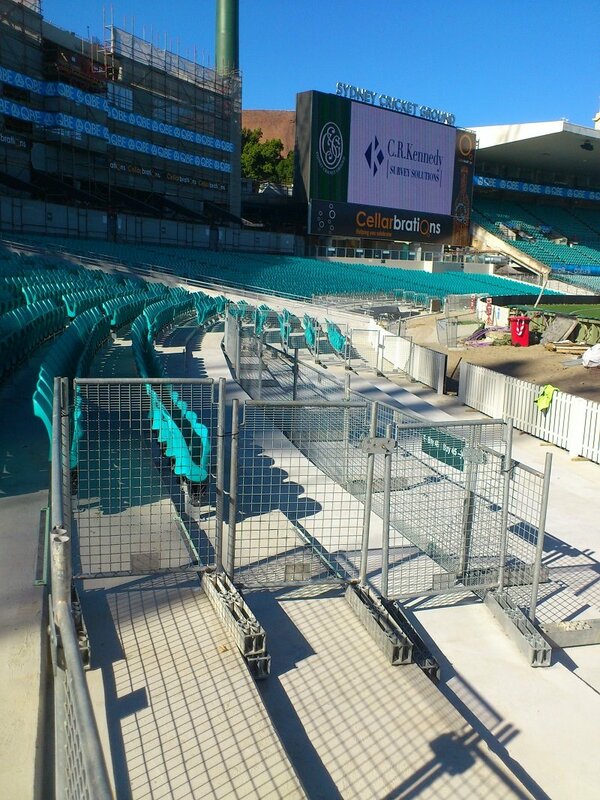 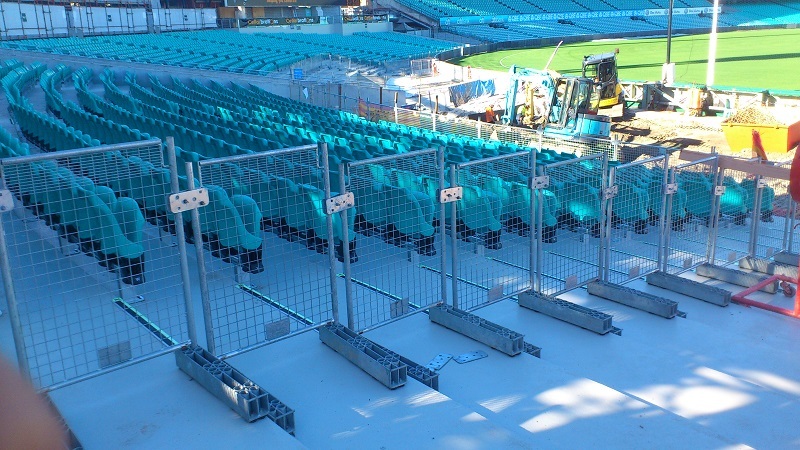 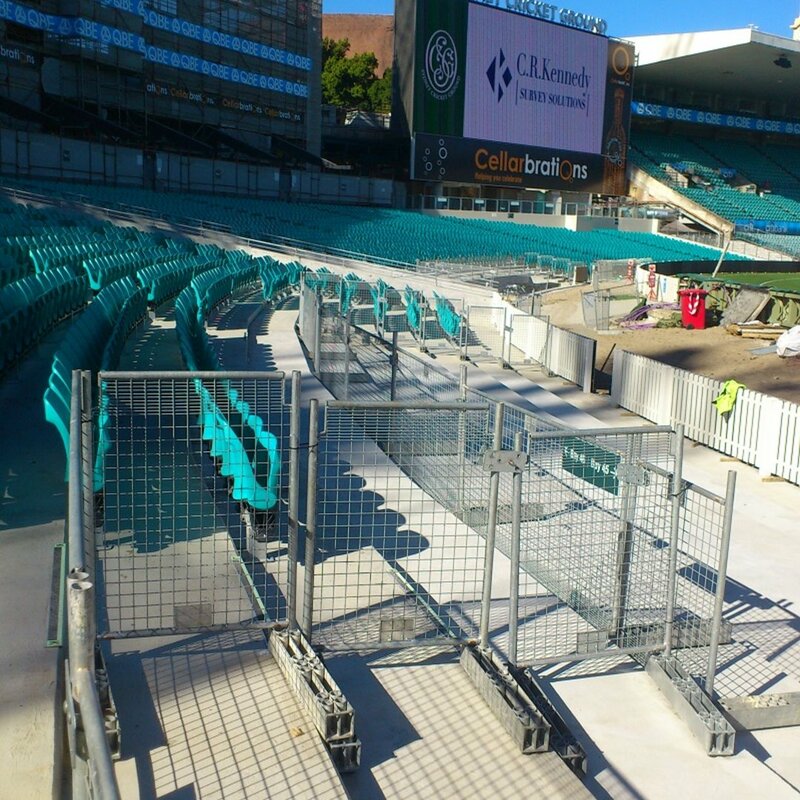 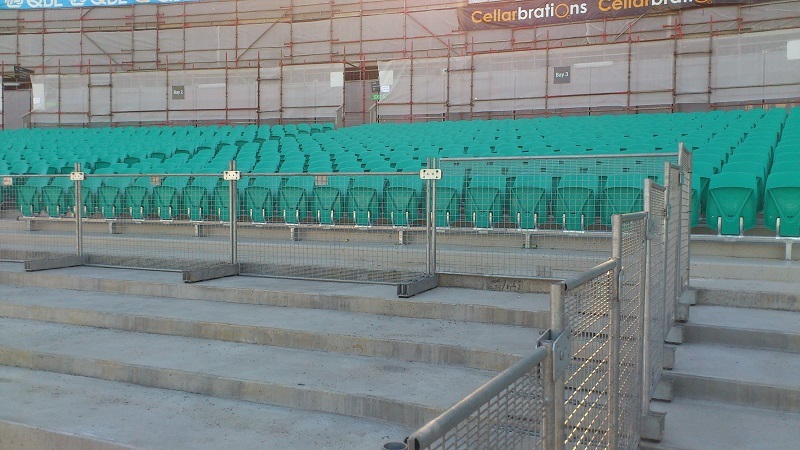 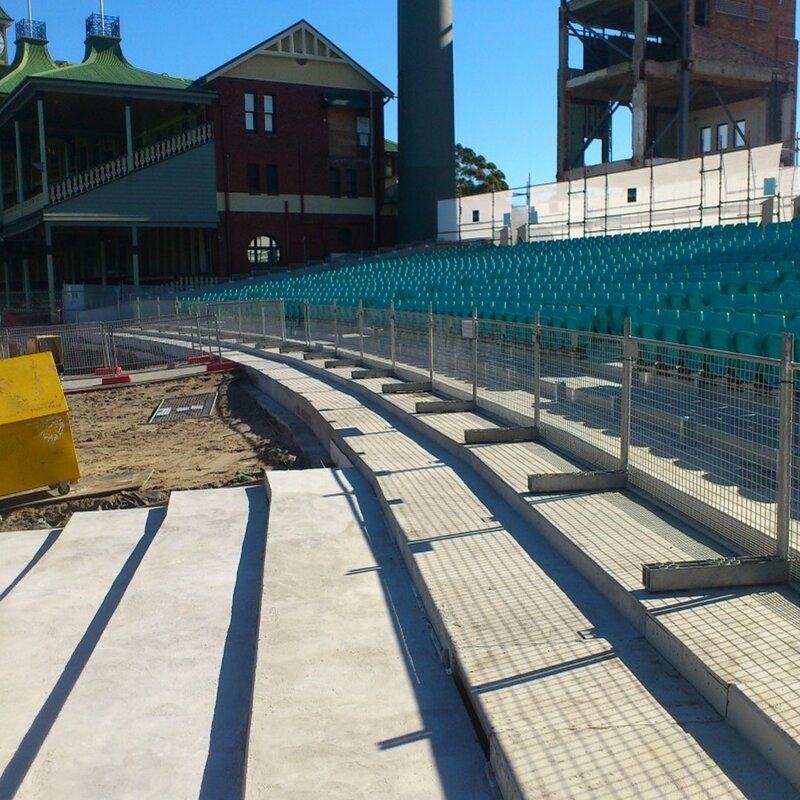 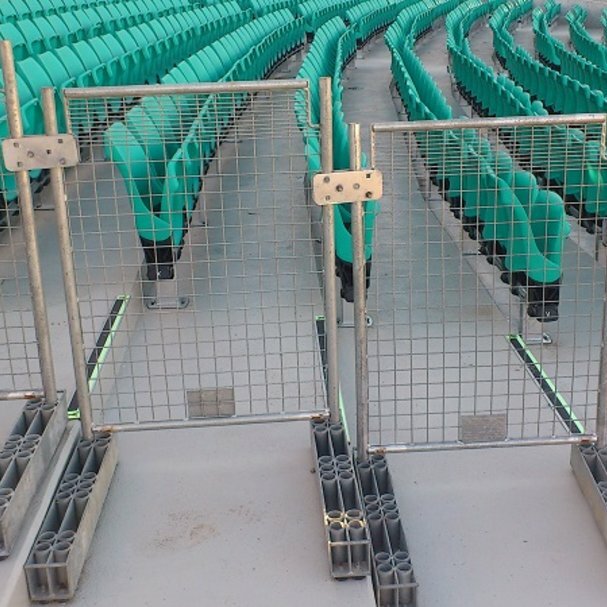 To further assist our clients, we have made sure we save you time and money by designing an edge protection barrier that requires no drilling and no bolting. 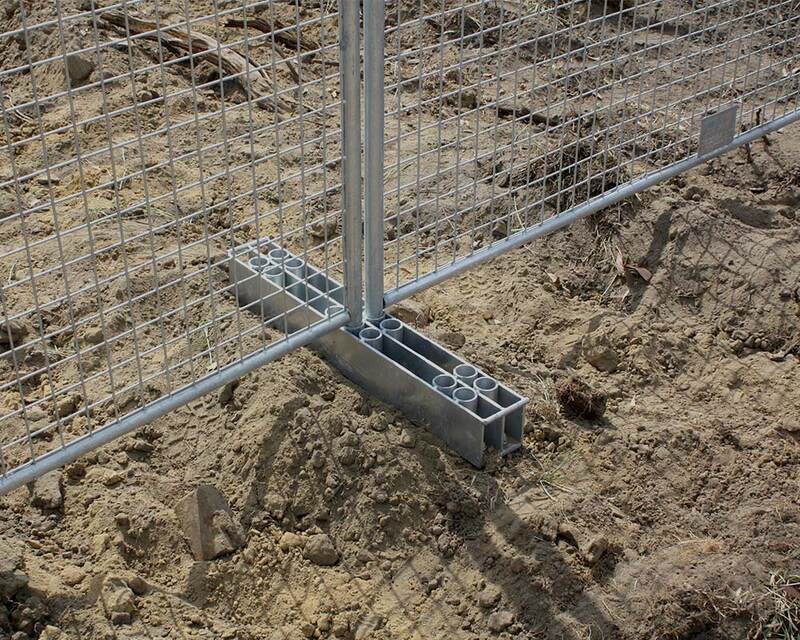 It can be used on just poured concrete, paved areas, uneven ground or soft ground. 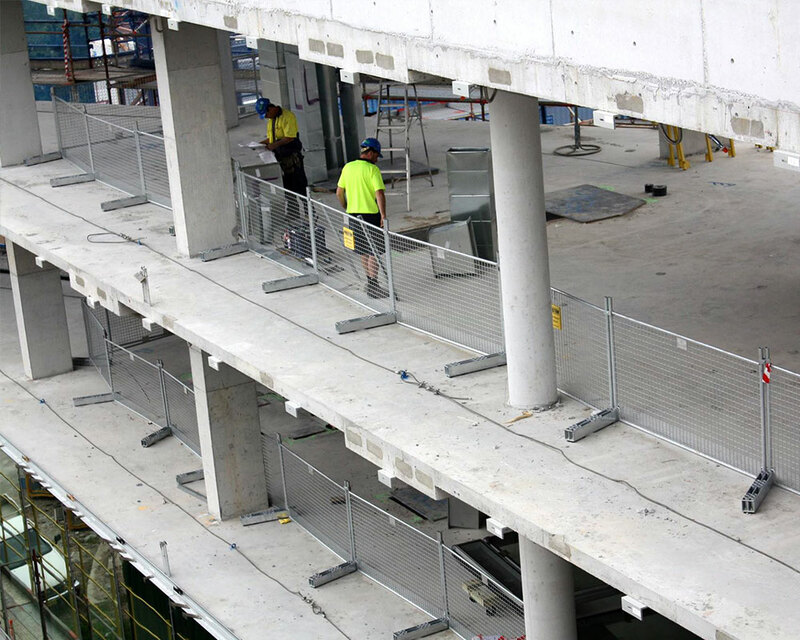 Up to 1040mm to 1170mm high. 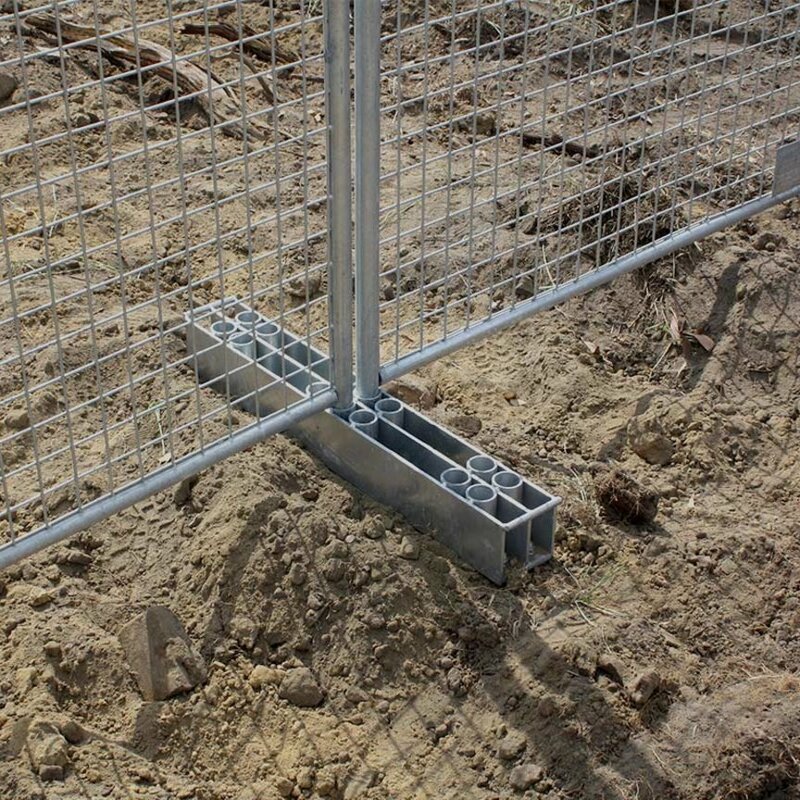 The SuperBarrier ranges from a choice of 800mm or 2100mm lengths.